I’d like to start off by stating that the synopsis for Penny in London does not do it justice. It had me a bit confused on what to expect, so I was pleasantly surprised when it ended up being a really good book. It was such a sweet romance and I fell in love with Penelope (I love that name!) and Oliver. I pretty much knew right from the start that Graham was a jerk and was going to screw Penny over. I wasn’t the least bit surprised when he did, but what did catch me off guard were the events that followed. Penny was already in a bad situation having broken up with Graham, but it got a lot worse to the point that she ended up having to rely on Graham’s best friend Oliver; thus, the romance began, because Oliver was amazing! Seriously, Oliver made me melt on my bedroom floor. I was a puddle of emotions. I wanted to jump into the book and take Oliver for myself. He was caring and so sweet! Also, he had a fascinating profession doing leather working. 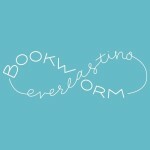 In all my years as a reader I have never read a character with such an interesting profession. It was so enjoyable to read about. I’ve only heard of leatherworking in the fantasy video games I play. I also enjoyed how smoothly the book was written. There was no waiting around until the end of the book to find out what was troubling certain characters. 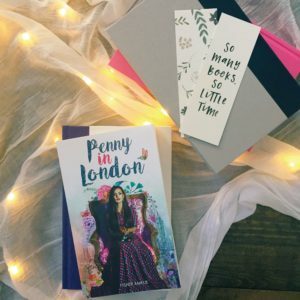 Penny in London was a short enough story that it got to the point quickly, but not too quickly that it felt rushed. Really, it was perfectly paced. I was even surprised with the plot twist – I don’t know about anyone else who read this book, but I didn’t see it coming. It made for one interesting story. Penny in London ended up being more than I expected. It was cute, funny, and at times even a little serious when it needed to be. I would definitely recommend it to fellow hopeless romantics such as myself.